Police at an incident on George Street. 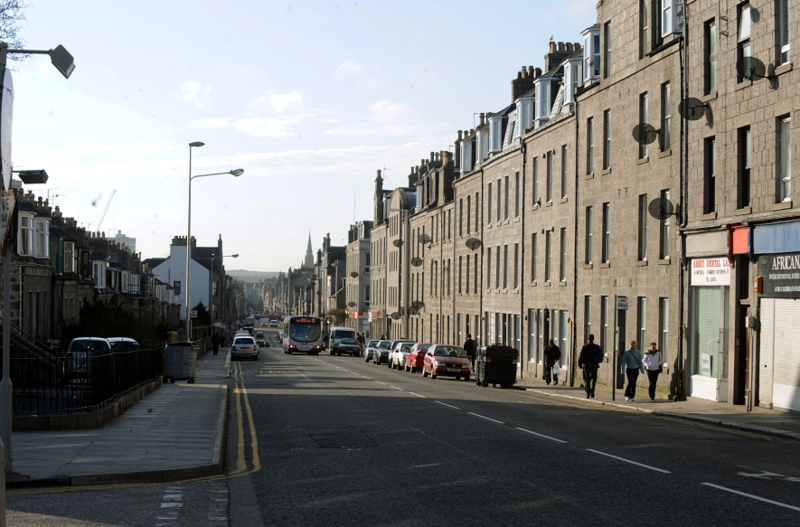 Police have ramped-up patrols on an Aberdeen street which was the scene of an alleged attempted murder, and which residents claim has experienced a surge in anti-social behaviour. Officers are maintaining an increased presence on the city’s George Street and the surrounding area in an effort to reassure “very concerned” locals – and to root out repeat offenders. 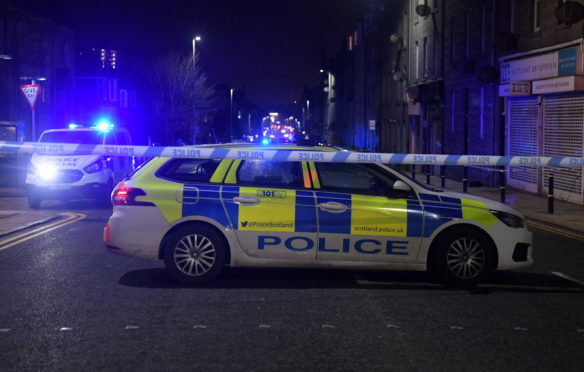 Last Tuesday, a large section of the street was sealed off for hours as police mounted an investigation into an alleged attempted murder. 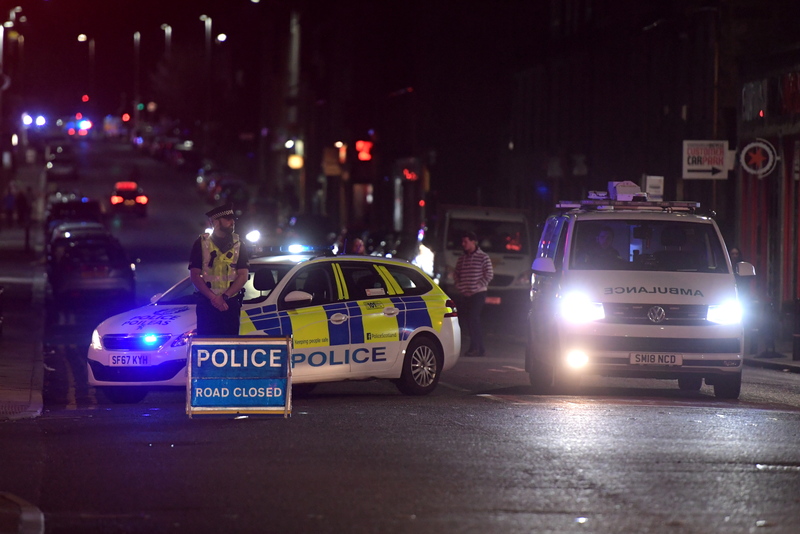 A 41-year-old man was taken to Aberdeen Royal Infirmary with “serious injuries” shortly after 8pm and police have since arrested two men aged 33 and 27 and a 36-year-old woman in relation to the incident. Inspector Steve Robertson briefed members of George Street Community Council on plans to increase patrols during a recent meeting. He reported that the force had made active efforts to ensure a “more visible presence” and were taking action to deter future crime. In recent months, residents have raised concerns about drug dealing taking place openly on the street. There have also been reports of more than one violent incident on what was once a thriving shopping street but which in recent years has hit hard times. Minutes from the meeting stated that residents were “very concerned” about crime and said officers had “spoken to retailers on George Street about their issues”. The papers added that officers were “dealing with people on their radar that they know are causing people to have reduced quality of life”. The poor state of street lighting has been cited as a contributing factor in the rise of anti-social behaviour. Some members of the community council said the removal of floodlighting from area’s high rise flat complexes had resulted in a “pitch black” zones in winter. Police at the incident on George Street last week. Local councillor Dell Henrickson said he was “encouraged” to hear that police were beginning to take a more proactive approach to George Street’s issues and “getting more officers onto the streets”. “Last Tuesday’s incident was rare in nature, but when something like that happens it does heighten issues and discussion,” he added. In the wake of increasing concerns about drug abuse in public on George Street, plans are also afoot to form a neigbourhood watch group. 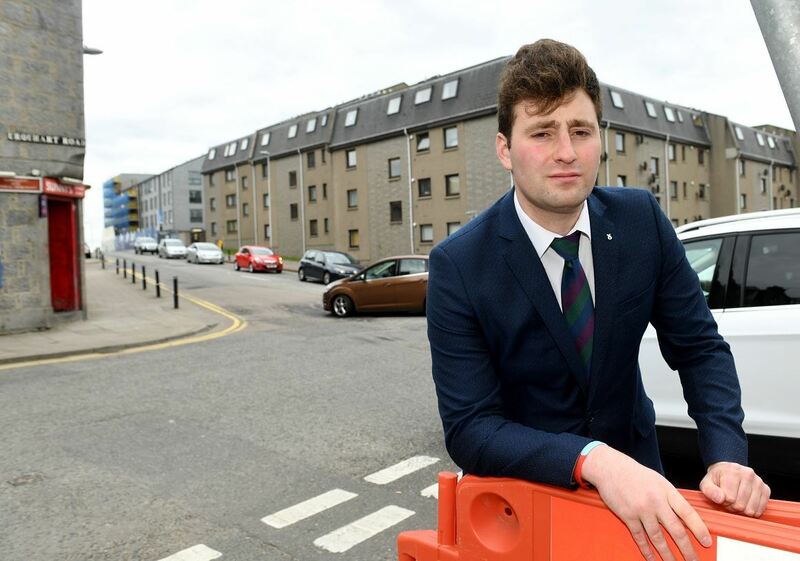 George Street and Harbour councillor, Michael Hutchison, said: “We have heard from a number of people who have concerns about crime in the area and this was a suggestion that was made to address the issue.